In your life, would you describe yourself as in control or out of control? Or, have you found the just the right balance – not just for you, but for your teams, your colleagues, and for your organisation? Are you pushing the limits constantly, in order to win the race, and, as a result, and, as a consequence, are you in danger of occasionally spinning out of control? Or, are you driving a safe race, within the pack, within your comfort zone, making sure you finish, but never in danger of winning? What about the people you see around you? Do you recognise and distinguish the cruisers and the risk takers? The reality of course is that people vary across time and situation. No-one can sustain flat-out, full-throttle, in what they do, without crashing sooner or later (probably sooner!). Everyone needs time for recovery and regeneration, and cruise time (or even a pit stop) is a sensible way to achieve that. There will of course be times when the prize is considered worth it, when the risks are deemed to be in your favour, and you decide to go for it. The skill is in the judgement of picking your moment, selecting when best to make your move, and being aware of what you can actually influence, and what is actually within your control. Control, is one of the most regular themes that I find crops up when coaching business clients. Some people report that they feel they have no control. They may be in a job where they are not given the responsibility they feel they deserve, they are not involved in making decisions, they believe they are unable to challenge authority. They feel they have more to offer, but don’t seem to be able to get their voice heard. They have a sense of being trapped and helpless. Others feel out of control. Things are moving too fast, they are expected to make the key decisions, they don’t feel they have the support around them to share the burden, they are in authority and therefore ‘expected’ to be able to handle the pace and responsibility. Yet others, may have moved beyond a simple wish for control, to a state of not being able to “let go” of control. They retain a tight grasp on the tiller, perhaps fearing that their very identity and existence depends on maintaining this position. Any suggestion of circumstances changing can cause panic, resulting in them tightening their control even more. The reality is that control is ‘illusory’. Recognising how little we actually do control in our lives is a great starting point to allow us to re-appraise our relationship with ‘control’. Being consciously selective with the energy we choose to expend on those areas where it is really worth pushing to the edge, requires flexibility and recognition of what areas you really can influence. This is an extract from The Vital Edge, released in 2014 and available on Lulu.com, as well as at the following popular retailer sites…..
“The Vital Edge” takes you on a fascinating journey through the minds of athletes, Olympians, tennis players and more, as you discover insights that will transform your thinking and enable you, your teams and your business to perform at their very best. About the author: Louis Collins enables people in business to operate more successfully. You may be struggling to implement corporate strategy, you may want to get more productivity out of your teams but don’t know where to start, or your people may not be having as effective conversations with each other as they could be. I will work with you to enable you to formulate more effective ways of leading, to raise awareness of blockers to successful ways of working, and ultimately to help you and your managers to lead more successfully. Could your organisation benefit from raising the leadership skills of its people? Would you, or members of your management team, benefit from exploring ways to make significant improvements in personal and/or collective effectiveness and productivity? Coaching around the rich field of leadership will help provide the edge that you are seeking in 2014. Coaching has been proven to directly impact the bottom line. Simply drop me your contact details on the Contact Us page and I will be delighted to have an initial discussion. 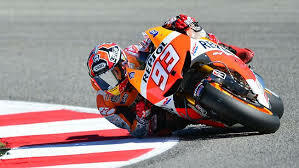 This entry was posted in coaching, commitment, control, Feel the fear, influence, performance, resilience, risk, sport and tagged control, Marc Márquez, MotoGP, race car driver, risk, sport by louiscollinsblog. Bookmark the permalink.